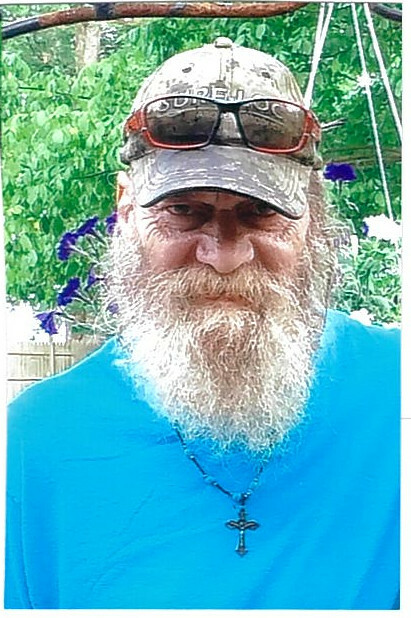 Michael Gene (Mike) Hyatt, 60 of Dillsboro passed away Friday March 22, 2019 at Highpoint Health at Lawrenceburg. Mike was born Friday October 31, 1958 in Milan the son of Darrell Gene and Roselyn (Kirtley) Hyatt. Mike was a member of the St. John’s Lutheran Church at Farmers Retreat, and the Dillsboro Sons of the American Legion. He worked for cable companies and had done construction work. He enjoyed camping, rock and roll concerts, cutting firewood, playing pool and cribbage, race cars and races, and helping other people out. Mike is survived by his father, Darrell Gene Hyatt of Farmers Retreat and sister Melinda Sowards of Friendship, nephew Raymond Sowards, aunt and uncle Patsy and Jimmy Hyatt, life partner Cinda Richardson. He was preceded in death by his mother, Roselyn, and niece Crystal Sowards. Funeral services to celebrate his life will be held at 11AM on Wednesday March 27 at St. John’s Lutheran Church, 7291 St. Road 62, Dillsboro, Indiana 47018 (Farmers Retreat) with Pastor Garry Wickert officiating. Burial will follow in St. John’s Lutheran Cemetery at Farmers Retreat. Visitation will be 5-8PM Tuesday March 26 at Filter-DeVries-Moore Funeral Home. Memorials in memory of Mike may be directed to Melinda Sowards to be used toward brain cancer research, or to the Friendship Fire Dept. or St. John’s Lutheran Cemetery. Filter-DeVries-Moore Funeral Home entrusted with arrangements; 12887 Lenover St, box 146, Dillsboro, Indiana 47018, (812)432-5480. Go to www.filterdevriesmoore.com to leave an online condolence message for the family.